Do You Feel Like You Are On a Roller Coaster? You don't have to be! Do You Feel Like You Are On a Roller Coaster? 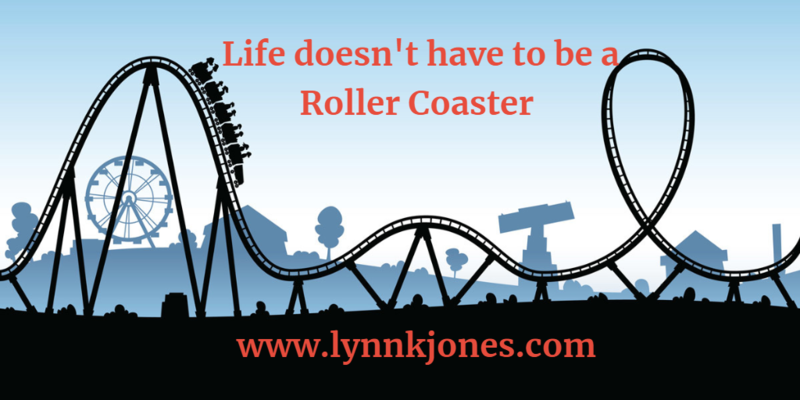 Life doesn’t have to be a roller coaster! “I feel like I am on a roller coaster,” one of my executive coaching clients recently opined. When he said it, I knew exactly what he meant. I feel like it a lot myself and my other clients often complain about that feeling. Together we decided to deconstruct what was going on. We talked about what he was doing when he was at the top. And we talked about what he was doing when he is at the bottom; “I feel totally overwhelmed,” he said. Oh, oh. I thought. That sounds like a recipe for disaster. Being at the bottom that much, of course is a danger signal. But what is even more alarming is the process of careening down to the bottom–the rush of adrenaline one gets, along with the fear about whether you are going to make it down safely. Research shows that when we are in such heightened state of alarm that we don’t think clearly and it is hard to make good decisions. Try charting your Hours of Thrills to smooth out the roller coaster ride of life. One of my most important jobs as a coach is to slow that process down. I help people to think about what is going on so that they don’t careen down to the bottom out of control. I suggested, “Would you mind keeping track this week of where you are on the roller coaster ride, so that we can get a benchmark of where you are?” We crafted a plan: Every day my client would chart how many hours he estimated that he was at the top of the roller coaster. He was surprised and so was I. I flipped back through my notes just to check my memory. “You know last week you told me that you were at the bottom at least 50% of the time.” “I did?” He was stunned. We decided to track another week. Same story–on the top 6-8 hours a day! Turns out that my client is not on much of a roller coaster at all. But, now he knows it. Knowing it is a big help. Now when he is going down the slope he knows it is just a baby ride, not much of a slope at all. No rush of adrenaline and no fear. And knowing this, he was easily able to talk about what he needs to do when he is heading down the slope–coming up with solutions was a snap for him now. I have a hunch about why his Hours of Thrills turned out to be such great news. The process of Appreciative Inquiry teaches us that “what we focus on grows”– the Poetic Principle. We have mindsets that influence how we experience our lives and impacts what we see. We are probably evolutionarily wired to see the negatives and to be hyper vigilant about any potential danger. The primitive men who survived were alert to the dangers of the lurking saber tooth tiger and they passed that skill down to us. The result is that we have to change our mindsets, literally how we see our experiences, to realize that it is not as bad as we feel. When my client focused on how much he was at the top of the roller coaster, he realized that he was hardly on the bottom at all. Before, because it felt dangerous to him, he was giving all attention to being at the bottom and it loomed large in his mind as a consequence. If you feel like you are on a roller coaster ride, try keeping track of your Hours of Thrills for a week. Let me know how it goes! 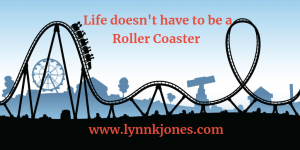 If you would like a complimentary session to discuss how coaching might help you to get off your roller coaster you can schedule a session at the website of Dr. Lynn K. Jones. That was cool that things were better than your client thought they were. I bet just knowing that made things even better. That’s some good coaching Dr. Jones! Congratulations on being elected President of the Santa Barbara Women in Communication. They are a great organisation. I think you are absolutely right! Knowing that his situation was so much better than he thought totally shifted it for him. Barbara Frederickson says that “positivity broadens and builds” and this is a fabulous example of that. Thanks for commenting on that point! Lynn – great blog entry. May I have your permission to share it with attribution within the organization where I work. I’m in middle-management in a large insurance company and, like all, we are gong through culture change that involves during more with less. Overwhelm is the evolving flavor of the workplace, as a result. Your blog creates great perspective. Please reply to my email address and let me know. Much gratitude. I am delighted that you want to see how the Hours of Thrills might create new perspective at your insurance organization. Please let us know how it works out!! I also was intrigued by your clients perspective of his life and through coaching he learned he was much better off than he had imagined!! I am currently learning that, too…..telling the same story over and over again in my head, when in reality it is not true – just a bad habit. Thank you for your blog and comments. You are a wise woman. I also love your website. Thanks for commenting and glad that you found value in my website. It is true we have a lot of bad habits and this is one: focusing on the negatives instead of appreciating the positives. It always amazes me how easily a perception like this can shift when we do focus on what is right. But like you said, it is a habit not to! Good luck with breaking the habit of telling yourself your old story. I do think keeping track like my client did his Hours of Thrills is a tool that helps! Let me know if you try it!